Ok, I know this one is not in the same vein as the other recent "Thankful Thursday" posts...but still, it is something I am quite thankful for. A long time ago (about 8 or 9 years), in a dark, dreary, depressed place I slugged along. 2 young girls, homeschooling, working part time...PMS lasting a week or more every month. It was not a very happy life (for me or for my family.) There was work stress, and money stress, and well, frankly, I was not a pleasant person to be around. Then one of my friends suggested I try a B Complex. After all, B vitamins are water soluable, so I wasn't likely to overdose. Well, I tried some, and I wasn't as depressed, and I slept better, but something was still missing. Then I upped the dosage, and it was like the sun broke through the clouds! How could such a small thing make such a difference? If you really want to know, ask me, I'd be happy to give you the scientific side sometime, but to not bore the rest of my readers, let's just sum it up like this "THEY WORKED!" Depression is an ugly thing. Seasonal Affective Disorder (SAD) isn't much fun either. While I won't say I never struggle with either one anymore, I will firmly state that I am SO MUCH BETTER than I was before. My family, they like PMS not taking over the house (& me) every month. They know if I've missed my B Complex, and they'll go get it for me. Now, I'm not talking about just getting my US RDA, I'm talking about being serious about my health. What I take is a higher dosage than the RDA minumums, but it works for me. I know that the investment of money I spend on my B Complex has a great return. People call me things like "cheerful" again. I like that, I like it a lot. Sometimes God presents us with a tool to use. For me, B Complex is a God-given tool I use daily, to sustain me, to improve my quality of life, to help me be a better mother and wife. If you've been in that dark place, let me encourage you to get more information about B vitamins. They just might be the tool that God uses to bring you back to the sun. You can find more info on my website at this link. What is the tool God is giving you? Find it and use it! This week I am SO thankful for Christmas. Not for the presents, or the food (even though they are both nice.) I am thankful for the baby who was born, wrapped in swaddling clothes, and placed in a manger. I am thankful that He did not remain a baby, but grew and matured, and became my Savior, Christ the Lord. Words an never express how different my life is today from how it was before I accepted Christ as my Savior. Words would have a difficult time describing the difference since Christ became Lord of my life. But know this- I am forever changed because of the baby in the manger who became the lamb on the cross who rose again to save me!!! Please allow that truth of Christmas to change your life as well! Last week's thankful thing was: Fieldtrips! After our fun exploits on 12-12-12, we couldn't resist another fieldttrip, so on Thursday 12-13-12 we went with my Mom (Grammy Mary) to the Indianapolis Zoo. Now, don't get me wrong, we love the lights at the zoo for "Christmas at the Zoo," but we really wanted to see the animals too, so after lunch, we headed to the zoo. We did stay until the lights were bright (after all, that's only about 5pm these days,) but by then we were getting hungry, and a little tired. The girls and I took turns with the camera, and we got several great shots. I'll include a few below for you to see. Why fieldtrips? Lots of reasons. The first one probably being that--- they are fun!...followed closely by --- they can be educational without being boring. No matter how many books you see of giraffes, lions, tigers, and bears (oh my!) it's just not the same as seeing them in real life. Questions abound on fieldtrips, and if you don't know the answers, you can usually find a helpful staff person to answer them for you. During our many, many trips to the zoo, I've heard questions like: "Mama, why are there 2 fences around the lions? ", "How do you spell anemone? ", "Can we get a pet starfish? ","Why don't the giraffes match, why are their tongues blue...why do they like sweet potatoes???" It really doesn't matter if your children are 2, 12, or 20, they have questions about the world around them. They like to explore (at least ours do!) and they want a chance to learn through doing. So the next time you're "unplanning" a day, why not try a field trip? The zoo, the fire station, the donut shop, the dry cleaners, the tire store...the possibilities are endless! Enjoy a fieldtrip with your family, you'll be glad you did! The mother elephant nudged her baby out just for my picture, wasn't that nice of her? Arlene said "it would be nice if the cheetah would lay on top of the rock so we could get a picture." Nice of him to oblige, hope standing on the rock is ok --LOL! Arlene's pic of the bored, but warm, polar bear, I think he was waiting for his dinner! Where do you turn when your world is crumbling around you? I hope and pray you turn to God, the only One who never changes. When we see our world spinning out of control, we are faced with a choice, do we trust God, or not? My friend Joy McClain faced such a trial, which refined her faith in God, changed her life, and eventually led to the restoration of her own marriage. Her most recent book, "Waiting for His Heart" is a poignant telling of what God did in her life, while she learned to lean on Him for everything. Perhaps you or one of your friends is struggling in your marriage. I highly recommend you get and read Joy's book. Probably your struggles are not as great as Joy's were, but I know God can use Joy's words to give you hope and encouragement that He will never leave you. Joy choose to commit to her marriage 100%, her commitment was a "No Matter What" statement. She learned that God's saving grace, His provision, and His unfailing love can carry you through when nothing else can. Joy waited 22 years for her husband to surrender his addiction to God. Her wait was long, her struggles great, but God spent the time teaching and refining Joy into the person God wanted her to be. Often, we struggle in our marriages, not just because of what our spouse is doing or has done, but because we hold up our "ideal" as an idol. Joy shares her journey of learning how God can work in our own hearts to change us, and how that is SO vital to our relationship with Him. If our relationship with God does not come first, if we are not daily on our knees in prayer, asking Him to change us, then we have missed the point of this life. God grants us a peace that passes all understanding. But first, we must ask Him for it. Life can be messy, relationships with our family can be strained, we can feel as though our lives are falling apart. Our choice is this: Do we turn to the Fixer of messes, the Mender of relationships, and the Healer of lives, or do we turn to our own understanding? Turn to the Healer! Allow God to do whatever work He desires in your life. Let Him lead you. Let Him work through your pain to touch and encourage the hurting world around you. In the midst of some of her darkest days, Joy was used by God to give hope to other hurting women. Hope that God sees them, that He loves them, that He is taking care of them. "Waiting For His Heart: Lessons from a Wife who Chose to Stay" is a book about that hope, about healing, about transformation within our own lives and souls that brings us to the foot of the Cross, and heals us there. This small book, filled with God's love, will transform your heart if you let it. Allow God to pour hope and healing into your life through Joy's words. Thank you to Moody Publishers for their work to bring this book to the hurting. It is available for only $12.99 at many online retailers. Give the gift of hope to yourself or your friends this Christmas. Know that you are not alone in your struggles. God is right there waiting for you! I received a complimentary copy of the book "Waiting For His Heart: Lessons from a Wife who Chose to Stay" in exchange for an honest review. All opinions are mine. Did you do anything unusual? We decided we wanted to commemorate the day with pictures. We had a lot of fun! We surprised MANY of our friends, who, thankfully, all agreed to pose with us and our 12-12-2012 signs. It was our totally unplanned, spontanious afternoon. Anderson has a lot of really cool architecture, but that's not why we enjoy living here. We enjoy living here because of the people. Our friends are what made yesterday's photo-fieldtrip day possible. So, if you were one of our "willing victims" -THANK YOU! It started out as a vague idea runing through my head early last week. Do something different on 12-12-12. Well, for those who know us, we're a little zany anyway, so to be DIFFERENT would require some thought! The 11th was also our last 'planned' day of school work before Christmas break, so I wanted it to be relaxed, not over-scheduled. We're all a little tired of focusing on Latin and Algebra. So we piled in the truck, with the camera, small gifts for a few of our friends, and a lot of laughs. We spent the afternoon visiting some of our favorite people & places around town. Below you'll find pictures of friends who we found at home, or at their businesses on our little jaunt yesterday. I hope you have as much fun seeing them as we had making the memories! First stop, Simon's house. Kind of looked like a mug shot, so I told the girls they should be more creative later on. Next, a visit with my friends Connie Combs, "The Mobile Seamstress." Her shop/office is in the PNC Bank building, 3rd floor. A little silliness in the lobby of the PNC Bank building. More silliness, the lobby of the Union Building! Outside the ticket booth of the Paramount Theatre! A favorite place of ours to go see concerts, or watch the Nutcracker ballet! Across the street from the Paramount, in front of the "Three Graces" statues. A super quick stop at the Post Office, because they're busy, to mail a Christmas package. I know it's blurry, but the postmark is "Dec 12, 12"
Posing with "Miss Ann" in the Chidren's department of the Anderson Public Library. One of our all-time favorite places to go! A "SURPRISE" attack on the Abels' household! Thanks Gavin, Peyton & Brady for being zany like us! While we were there, Arlene snapped a picture of my great friend Sharra Badgley & me! Another "surprise" stop, at church. Our pastor, Bob Bell, being just crazy enough to join me when I asked "Hey Bob, can we borrow you for 60 seconds???" I wonder if he'll still be so accomodating next time I ask him-LOL! Last stop, and probably my favorite picture of the day! Another of my best friends, Bethany Rielage (& her husband Todd.) 12-12 was Bethany's Birthday, so this is one of those pictures to treasure! 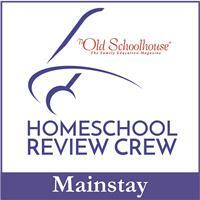 This is a day to say "Thank You" to the Moms who organize and oversee our Homeschool support group, HSU. HSU (Home Schools United) has been a great blessing to our family for many, many years. We have opportunities to participate in field trips, roller skating parties, living history days, a Geography fair, and an Academic Fair thanks to these ladies and their hard work. This is what I refer to as the 'umbrella' over the home schoolers in our area. Not everyone belongs to HSU, but many families do, and it becomes a valuable resource. Getting emails about our own activity choices, plus notices about events happening in the neighboring counties is priceless. It would take me hours each month to search out all the activitites, used book sales, special programs and discounts offered for home schoolers. Because of HSU, I can instead spend that time with my children, because checking my emails or the message board only takes a few minutes. Our girls have had many awesome, fun and exciting experiences through HSU. When did your child first... learn about the Romans? meet a Civil War re-enactor? learn to roller-skate? taste authentic French food? present a display about Hawai'i? learn to interact and make friendships with their peers? We have done all these things and more with HSU. Especially helpful for me, are the opportunities to see my fellow home educating parents. I miss my friends. Face it, we are often too busy with day to day demands to set aside as much time as we would like to work on our adult friendships. Through HSU, at our parties, monthly skating, and the quarterly Parent's meeting I have a time to be refreshed. Time to hug my friends and catch up in a small way on what God has been doing in their lives. If you haven't consider joining a home school support group ( and you're a home schooler!) let me encourage you to do so. If you're not a home schooler, find support for yourself and your family through your church or organizations you belong to. Many PTA groups allow Moms and Dads a chance to meet and discuss parenting and educational ideas, not just the latest bake sale. Your son or daughter's sports team may have a "team Mom" position. Why not share that responsibility, and that blessing, with a few other Moms? Maybe Dad needs to carve out time to go to the monthly Men's breakfast at church---send him! Not enough words exist in the English language for me to express how extremely thankful I am for my friends. I have a few really close friends, a lot of good friends, and a whole host of Christian and/or home educating friends who continually bless me and our family. I hope you know who you are, and how much you mean to us! I have friends that just let me be me. THAT is a lot to ask, because, well, I'm rather quirky, opinionated, and like to sing Christmas songs all year long. But, they love me anyway. I have friends who love to cook, friends who love to garden, friends who love to talk, friends who let me drop off my kids with them...there are friends who ask me how I'm doing, and really want to know the answer, I have friends who inspire me, and others who I get to inspire, I have friends who pray for me- and that is the best kind of friend in the world! So whichever of my friends you are- know that I am thankful for YOU! I pray for you, and I love spending time with you. Thank you for being my friend! On this day, and every day, I am thankful for the family God has blessed me with. I know that I am blessed to be born into a family that loves unconditionally. This Godly heritage has helped me realize just how much I have to be thankful for! My Mother's family, which hails from all points across Indiana- in recent years, came to this country from various parts of England and mainland Europe. Growing up, it mattered not whose kid you were at the Thanksgiving table, you just knew it mattered that you were there, celebrating another year of God's blessing. In this family that lived out God's love DAILY, I learned a lot about looking on the positive side, looking for the blessings and not the evil that often surrounds us in this world. My Grandma Lucile was the oldest of ten children. Imagine what it would be like to turn 15 years old and know that you mother & father had given you nine younger siblings. My Grandma did not complain, she simply went to work on whatever task needed done. Grandma was a survivor. My Grandma lived through 2 World Wars, the Great Depression, tuberculosis, cervical cancer, and many other struggles. The last time I went to see Grandma before she passed away she said two things to me. When I asked her how she was doing she said "not so good." When I went to kiss and gently hug her goodbye she said "your hands are cold." Well, she was right on both accounts, I often have cold hands, I can't help it. It's not a disease, it's just the way God made me. My fingers are long, and my hands have always been the first part of me to get cold. So now, when you see me with gloves on when no one else has them, you'l know why. Grandma's first answer was also true. Grandma had Parkinson's, she was nearly at the end of her earthly life, and I know it bothered her to not be able to do or remember things she had been able to do just a few years earlier. So what else did Grandma Lucile, and the rest of her family teach me? Love, acceptance, hard work, fun, joy, singing together, long walks in the country, a love of good, home-cooked food, and a host of other things. One piece of advice Grandma gave me that I'm still trying to learn? "Don't nag your husband." I'm sure Kurt will be happy if I ever master that one! LOL! So on Thanksgiving, and every other day of the year, I am thankful for my family! My Mom's family, my Dad's family, and Kurt's family. Thank you for loving me back! Ok, ok, I know, it's several days past Thursday and I forgot to post this last week. Forgive me please. I was so busy getting ready for our 4-H Leader's meeting, that I forgot to post about how thankful I am for 4-H. I am thankful for 4-H. 4-H was a big part of my youth (10 years of it! ), it was a part of my Mom's youth, and now our girls are involved with 4-H. If you've ever wondered 'why 4-H?' allow me to share just a little bit of how it has impacted my life. I grew up out in the country, attended a small rural elementary school, and then attended Middle School and High School in Lebanon ( a city of about 13,000.) When I started 4-H in 3rd grade, it was a neat thing to do. We had monthly meetings, and I got to attend with "those big kids" that lived nearby. I found out that those bigger (older) kids weren't that different than I was. I made some new friends, I learned how to give a demonstration, we took tours of the farms of kids who had livestock projects, and I learned the basics of parlimentary procedure. I ended up switching to a different club after a couple of years. I still saw the kids from my first club at the fair, and at school, and everywhere else we went (small communities are like that.) But I had found a club that fit me better. Giant kudos go to my parents for putting up with driving me & my brother to different club meetings every month. I made new friends, learned how much work it takes to put on a fundraiser, watched my friends learn how to drive, and even won an award trip to Chicago. I was encouraged, challenged, rewarded, and given valuable life skills. 4-H still does that today. It is a safe environment where kids learn life skills, life lessons, and make friends. It gives responsibility, and then requires you to live up to your obligations. It teaches you the value of giving your word, and keeping it. I know 4-H is not for everyone, but it is a great part of life for a lot of people. Not everyone will be a 10 year 4-H member. That's ok. Many youth gain valuable lessons even if they're only in 4-H for a year or two. 4-H gives you a chance to try new things. The Junior Leader program is a phenominal program for learning servant-leadership. The additional time commitment it takes limits how many kids actually participate. I should know. I was a Jr Leader, but our girls are not, because they already have other activities they are involved in that teach leadership skills. There are only 24 hours in a day. So, if you're thinking 4-H would be a good idea for your family, get some more information. Talk to your local Extension educators. Indiana 4-H has a wonderful sponsoring University in Purdue. Locally, here in Madison county, we have 2 of the best Youth Educators you'll ever find running our 4-H programs. We have dedicated Volunteer Leaders, and a whole host of clubs to choose from. There are so many projects to choose from that it is often difficult for kids to decide. It's ok to choose a project this year, and do something different next year! Today, and every day, I am thankful for 4-H! Just in case you're wondering...my favorite 4-H projects growing up were Leathercraft, and Shooting Sports! Two things I still enjoy doing today! What do you do when your children ask for something, and you'd love to give it to them, but it's just NOT in the budget??? You look for an alternative. If your child has been wanting voice lessons, THIS is your alternative!!! Vocal Coach Singer is a truly AMAZING program. It comes as a 12 disk set for $119.99, or as MP3's and PDF downloads for $99.99. Our daughter has volunteered at Conner Prairie, a local living history museum, for the past 3 seasons. She has been asking for voice lessons for about that long too. While there are basic lessons given by the staff at Conner Prairie, that would require us to make another trip (25 miles one-way) for each training. We've wanted to give Emily something to help her learn to modulate her voice, and learn how to not lose it while talking all day. Vocal Coach Singer was a blessing! Just what we had been looking for. So what does the program do? It takes you step by step (whether you're a teenager or an adult) through learning not only how to properly warm up and learn to sing in your range, but it teaches you how to maintain your voice as well. There are practical uses for this course, which make it a family investment, not just one for the singer or actor in your family. The coaches suggest it for singers, actors, business people, AND home schooling parents! Think about how nice it would be to not be hoarse at the end of the day after teaching all your children! The 12 discs include 7 Training CD's, 4 Workout Cd's, and a CD Rom of PDF's. 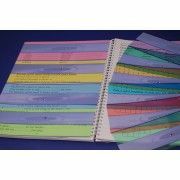 These PDF's include lead sheets for the training exercises, lists of which exercises are on which disc, and journaling sheets to keep track of the time you've spent and your progress. On their website, Vocal Coach states that this program is eqivalent to over $2000 worth of individual coaching time. After googling local voice lessons and finding out they range from $40-$60 an hour, I'm sure it is worth much more than that! Now I know, you're thinking, 'I have a friend who gives lessons that aren't that much an hour.' Guess what, we do too! But when you realize that at even $15 an hour, we would have spent $60 a month minimum for Emily to have voice lessons, you can hopefully understand the value of the complete 12 disc set only being $119.99!!! That's only about 2 months' worth of one-hour a week lessons. These are lessons you or your child can do AT YOUR CONVENIENCE! So, while waiting for the pasta to boil for dinner, or while waiting for Dad to get home, your child can fit these in whenever they have time...and the best part? You don't have to drive them anywhere! Think about it, does your family like to sing together? Do you visit nursing homes or shut-ins from your church? Learn how to give your best performance, while preserving your voice and being able to spread more joy! Emily was so disappointed when she caught a cold and had to take two weeks off from Vocal Coach Singer during the middle of the review. I believe what she had learned in the first two weeks helped her to recover her voice more quickly because she was aware of what straining it would do. Vocal Coach has been a really helpful program. 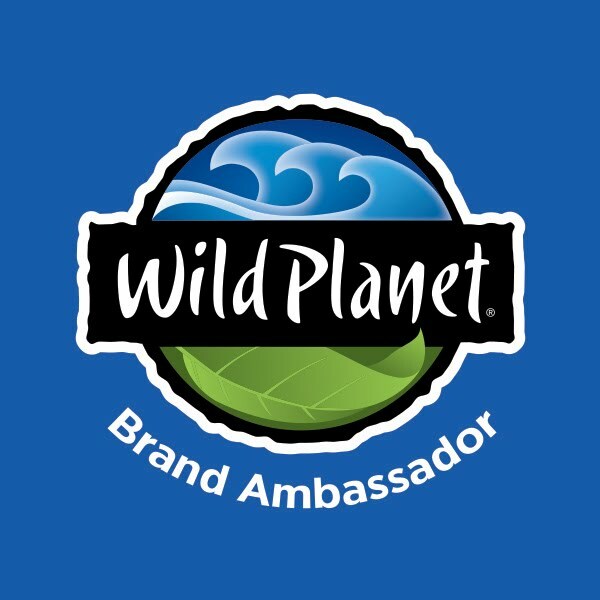 It has helped me with my job at Conner Prairie, where I work as a youth volunteer, because I have to talk almost continuously throughout the day. 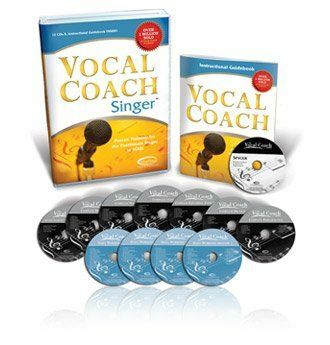 The Vocal Coach CD’s talk about range, breathing, posture, and other things, having exercises to help with each thing. It has exercises to help give you good posture, and therefore correct breathing, and to help you talk longer with out wearing out or damaging your vocal cords. It is good for everyone who uses their voice a lot. Not just singers and choir members, but also speakers, professors and teachers, tour guides, lawyers and judges, homeschool parents, and others. Its roughly 2 minute exercises help you to be able to use your voice longer, project farther, talk louder, and, if you like to sing, sing better. All without wearing you out. The teachers explain why the exercise are important and explore different ranges of voice, and have exercises for all the ranges, so as to help everyone. So, do you have a singer, actor, public speaker, or teacher in the family? This is a product you'll be so glad you saved up for! 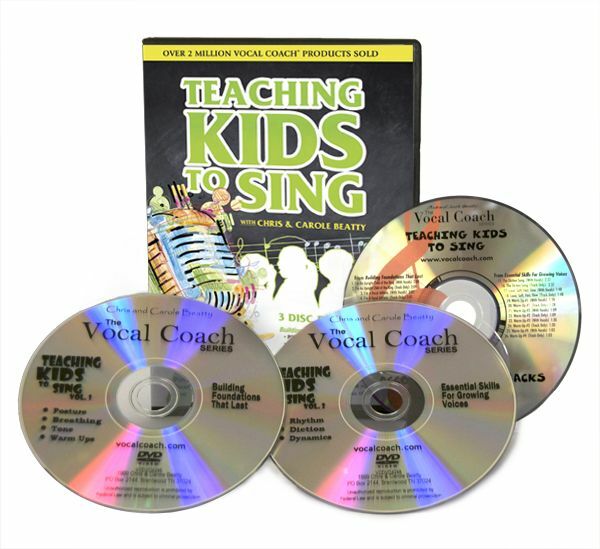 Vocal Coach also has a 3 disk set for children to learn from. You can read about that, and find more reviews of Vocal Coach Singer by clicking the banner below! We've reviewed a lot of products for the TOS Crew this year, this is definitely in our top 5! As members of the TOS Crew, we were provided a physical set of the 12 disc "Vocal Coach Singer" program at no cost in exchange for an honest review. We were not compelled to write anythig positive. All opinions are ours. When is the last time you asked God to clean up your heart? When is the last time I asked God to clean up mine? In order to NOT be like verse 46, but rather do what Christ commands, we must first have our hearts examined and cleaned. In America, we spend this month being thankful. Why is that our focus only in November? Christ has dome an amazing thing in laying down His life in exchange to pay for our sins. The Bible is full of thankfulness. Check it our for yourself. I got out our concordances. In Strong's (KJV) concordance, there are 139 references to thank/ thankful/ thankfulness/ thanksgiving. The NIV Exhaustive Concordance lists 150 verse references. So, if your heart needs a little lift, and some cleaning, might I suggest you spend some time today with God, being thankful, and asking Him to do the cleaning? You'll be glad you did. The overflow of your heart will be thankfulness, not complaining. Then you'll be able to continue on in this lost world, doing as 1 Thessalonians 5:18 commands, "giving thanks in all circumstances!" How have you introduced your children to missions work? Do you meet with local missionaries, do you write to foreign missionaries sent from your church, do you spin the globe and pick a people group to study and pray for? However you do it, DO IT! Way too often in our American culture, we fcus on ourselves. Yet, time and time again God's word reminds us to "not think more highly of ourselves than we ought." To be able to share the love of Christ with others, you kind of need the "others" don't you? Maybe your children minister to other neighborhood children, maybe you pray for a long list of foreign missionaries each week, maybe you sponsor a child in a foreign country. Maybe you're not doing anything about mission work right now. That probably means it's time to make a change. 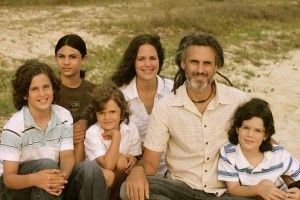 If you would like to introduce your family to foreign mission work, and give them some ideas about how living out the light of Christ in their lives can have a global impact for God's glory, but don't know where to start, let me give you a suggestion. 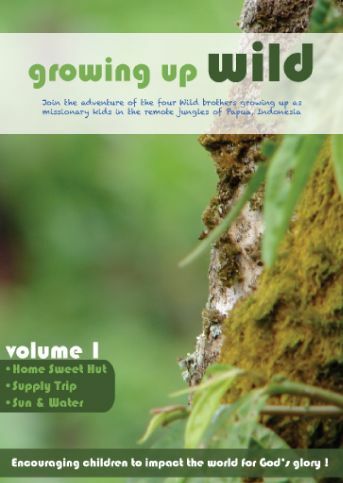 "growing up wild" is a series of 5 DVD's, each with an accompanying activity CD rom, that shares episodes in the lives of the 4 Wild brothers, Morgan, Hudson, Asher, & Kian as they grow up in Indonesia with their parents, living amongst the Wano people. Each DVD ($18.99 plus tax and shipping) has 3 episodes. Each episode lasts about 15 minutes. Then there are several suggested activities to do at home (or in your area.) 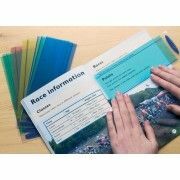 The CD rom includes adobe files of the worksheets you might want to use for the activities, and helpful hints and instructions. These could be watched as a family, in a small group, or would even make a great mission-based VBS curriculum. The Wild parents, Mike and Libby, include in the narration of each episode, Bible verses relevant to the episode topic. Some of the activites are fairly involved, but many are ones you could plan to do in an hour or two. Boys and kinesthetic-learning girls will appreciate the amount of hands-on activities, like making a model hut similar to what the Wano people live in. For this review we received DVD's # 1 & 4. 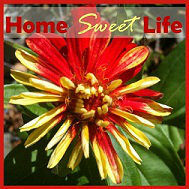 Volume 1 episodes include: Home Sweet Hut, Supply Trip, and Sun & Water. 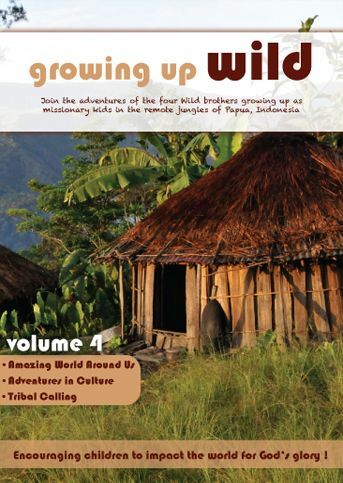 Volume 4 includes: Amazing World Around Us, Adventures in Culture, and Tribal Calling. The only problem we had was in the formatting on DVD #1. It didn't show which of the 3 episodes was highlighted when we put it in the DVD player, so we had a little trouble getting to the episode we wanted. We solved that issue by putting it in the computer to watch. Then we could just mouse-over and choose which one we wanted. DVD #4 worked great in either the DVD player of the computer. I probably should have e-mailed the Wilds and asked if anyone else had had this problem, but since I found a way around it with the computer, I didn't bother. Arlene (age 12) liked the variety of activities. She thought that it would be fun to visit the airport and ask the pilot questions about how much his plane can carry & how far it can fly without refueling. While we haven't done that yet, I have a friend who is a pilot, so it's definitely on the radar to do soon. We've recently been doing some planning ahead on food for the month, and that is similar to the activity the Wilds suggest about figuring up how much your family eats, and how much it weighs. I would definitely recommend these DVD's to anyone with boys, or outdoors or mission-minded girls. Don't let that stop you if you don't fit into those categories. These DVD's do a good job of showing how simply living amongst the lost (whether here or abroad) will give you an opportunity to live out Christ's love. The Wild family's mission with these DVD's is:" Encouraging children to impact the world for God's glory!" That is a mission we all should share! As members of the TOS Crew, we received these 2 DVD's in exchange for an honest review. All opinions are ours. How can you encourage your teen/ adolescent daughter to find her true worth in God? Where do you point her when she's wondering what her path should be? Sarah Clarkson has written a lovely devotional book entitled "journeys of faithfulness: stories of life and faith for young christian women" to go alongside your daughter's Bible reading. I can see this new book from Apologia making a huge impact on our current generation of young women. Whether in her teen years, or early 20's, this book would make an excellent Christmas or birthday gift for a girl close to your heart. It's a great read for older women too. Here's why: each chapter begins with an expanded story of a Biblical woman and her personal struggles. Ever been a Mary in a Martha world? You may shed a few tears of relief during this first chapter then. I know I did. As each story is expertly woven, you feel the hurt, anguish, pain, and uncertainties of each person. Then you see how Christ steps in and shows them love. His love, and how to share it with others. How their worth comes not from things of the world, but from a heart surrendered to God. How a small amount of faith can overcome mountains of doubt. Sarah Clarkson does a wonderful job of keeping the charcters Biblically sound. She weaves in history and cultural norms of the person's time to help explain the story. The stories are not "hokey," but beautifully written. After each story, Sarah shares a devotional with a story from her own life. A self- examination that showed her how God was being faithful in her life, just as He had been in the people's lives in the Bible. Then, there is a Bible Study focusing on the attribute of God the Biblical story revealed. Finally, each chapter ends with a few pages for journaling. A place to reflect on what God has done in your own life, or record your own story. If your daughter is in the younger age range, this would be a great read-together, study-together book. Older girls and young women will probably want to read, study, and journal on their own. This book will become an outpouring of their own hearts and lives when they're finished. During the review, Emily read the book on her own, then we discussed several of the chapters. She wanted me to read it as much as she wanted to read it herself. She liked the format, the expanded stories, and the encouragement. I liked that it is a book we will discuss more and more as time goes on. Journeys of Faithfulness is a young woman's devotional about the everyday lives of some of the women in the Bible. It talks about Mary & Martha, Queen Esther, Mary the mother of Jesus, and Ruth. Each section starts with a fictional story based off of the Biblical stories of each woman, followed by a real life story from the author, a devotional with questions about the section and such, and then a ‘Journey Journal’ to record thoughts about the lesson. There are three sets of these in each of the 4 parts of the book. The stories are well written and easy to relate to, and help you understand the woman in the Bible from a different perspective. It is very good and helps you feel closer to God by understanding His purpose for your life. I wish I had this book, or one like it, when I was a teen. During those years when you're struggling to find out how to live this Christian life in a world gone crazy. Where you're trying to find your worth in God when the world tells you that you either: A- have no worth, or B- only have worth because of "things." This book speaks to hearts, where faith begins and grows. If you're still not sure, read the sample chapter, I think you'll be wanting more! So go get this book, at only $13, it'll be one of the best things you do for your daughter. Then pray that God will show her how her worth comes from Him, and how precious she is! As members of the TOS Crew, we were provided a copy of the printed book in exchange for an honest review. All opinions are ours.